I think there’s a belief that kids and college students are the only ones who enjoy celebrating Halloween. And even if they might be the ones having most of the fun, that doesn’t mean there isn’t plenty of Halloween spirit left for the rest of us! :-) So I decided to put together a post for EVERYONE that was full of ideas for fun and easy ways to celebrate Halloween. The first project I’m sharing is a DIY candy corn banner that will make a festive Halloween decoration for your home! Make sure to keep scrolling after the end of the banner project, because I’ve included several links to more awesome Halloween ideas! Start by painting a thick yellow circle around the outside edge of your paper plate. The yellow ring should take up about 1/3 of the distance from the center of the plate to the outside edge of the plate (the radius, if you remember your trigonometry.) It doesn’t need to be absolutely perfect, because you can refine the edge using the orange paint in the next step. Next, place something circular (like the rim of a paper cup) in the center of your plate, to mark off where your white area will be. Paint an orange ring from the edge of the paper cup to the edge of the yellow paint. And remember, fudged lines aren’t mistakes – you’re just making it “rustic.” ;-) Set your paper plate aside until the paint dries. When the paint is dry, use your scissors to cut the paper plate into 8 equal slices like a pie or a pizza. Next, use your hole punch to create two holes on each piece, along the rounded edge. Finally, cut a long length of string, and carefully string each piece onto it. 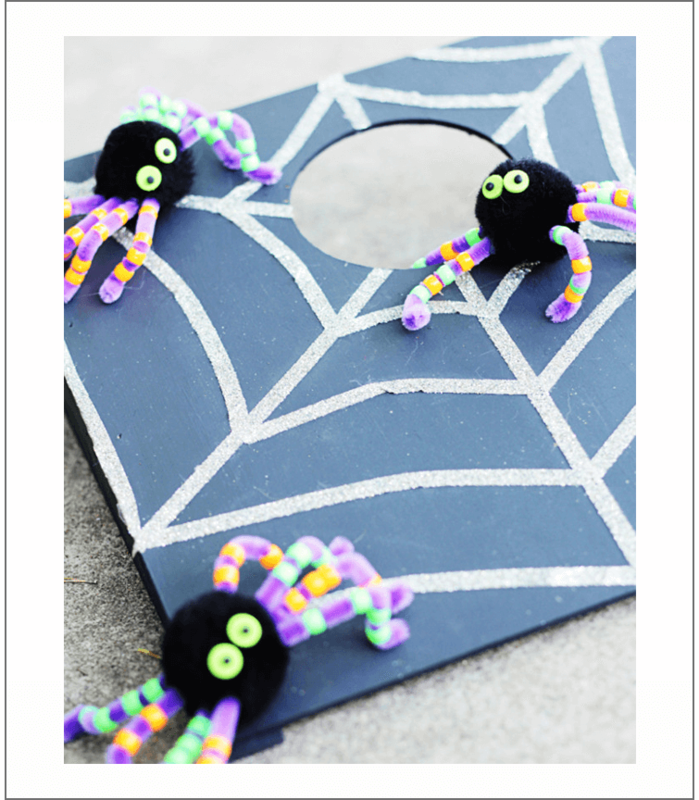 Hang it over a doorway or on your mantle for an instant boost of Halloween spirit! Here are several more ideas for getting into the spirit of Halloween that I’ve collected from around the web. Hopefully you find a game, activity, or costume that inspires you to make this your best Halloween ever! Even More Fun Ways to Celebrate Halloween! Click on the bolded title of each project for full details and instructions. We’re having a block party and these will be wonderful! Thsnks so much for the great ideas! Really cute ideas-Thanks for posting!